Fresh veggies and Kunzler’s famous ham, grilled to perfection make the perfect kabob for any outdoor event. In a saucepan, stir together brown sugar, mustard, cola and bourbon. Cook over medium heat until the brown sugar has dissolved. Set aside. On metal or soaked wooden skewers, place one cherry tomato and alternately thread ham, yellow and green peppers and cauliflower, ending with another cherry tomato. Brush kabobs with cola glaze. Lightly oil the grill grate. 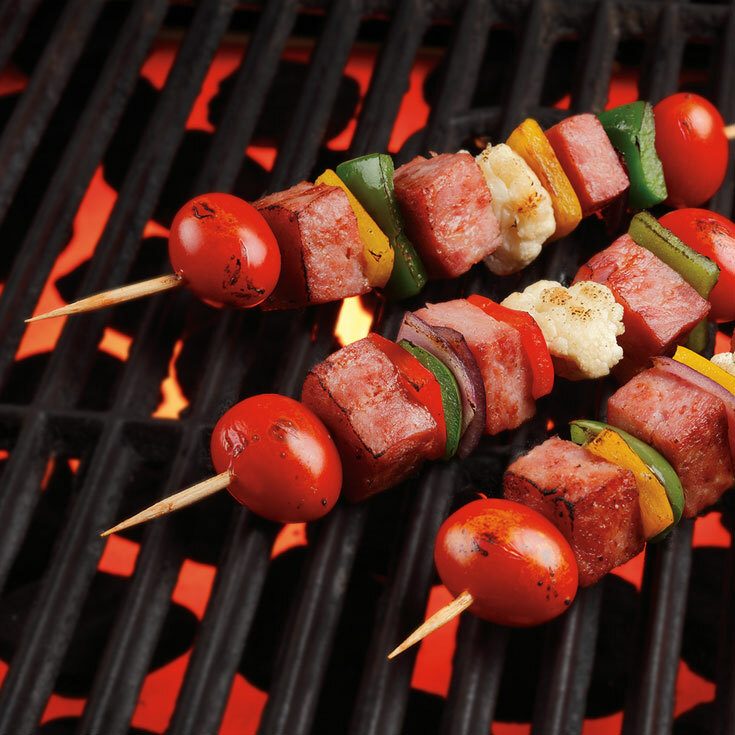 Arrange skewers on the prepared grill. Cook 15 to 20 minutes, or until vegetables are tender, brushing occasionally with remaining cola glaze.